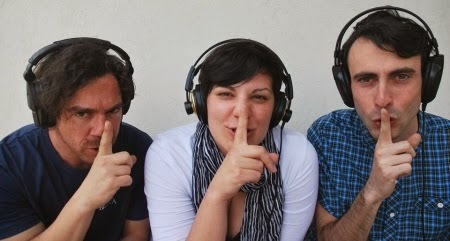 Italian pop trio I Pay For Two Persons make "naive" music. With their upbeat and catchy as hell tunes there's no need to decipher their lyrics. Covering the middle ground between guitar rock and electronic dance their Petardi EP has Summer written all over it. Nice touch to use a flute as a counter melody. Don't file them under the dreaded Italo-disco that once polluted the airwaves. This trio isn't all smiles - they aren't afraid show their teeth and change pace mid-song. Stand-out Lacrime di legno with its call-and-response vocals sounds like a lost New Wave gem. Petardi is a self-released EP. Free download from Soundcloud.